The week following the long weekend in May (This week) is usually sunny and hot and it is usually the weekend and week that most Manitoban's try to get their gardens planted, their annuals planted and generally get their yards and properties ready for the hot summer months ahead. 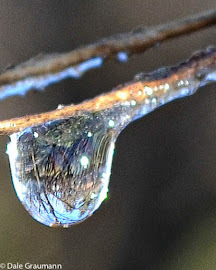 It is supposed to be hot - but this year it seems it is going to be cool and rainy. I have readied the gardens for new plants both annuals and perennials; the patio pots are ready for new flowers, the patio furniture is washed and set up, Gary has the AC unit uncovered and cleaned and we are just waiting to flick the switch, so to speak. But that's as far as we've gone. Trouble is my mind is thinking about November and December. I am currently on the hunt for some good Christmas Craft Sales. I am on the waiting list for a big one in December, but I would like to do more than 1 this year. I'm changing up my inventory just a bit for this year - sort of testing of the waters. I will still sell my Victorian Crochet Tree ornaments, but I want to add some more items that are similar, but not Christmas. On the list will be Heirloom quality Christening gown sets. I'm talking about the type that are made with fine thread and lined or have an under slip. The kind that are passed down from generation to generation. I'd also like to have some beautiful Christening Shawls - for people who don't want the gown, but still want something special to hand down. Also on the list are a few wedding items. 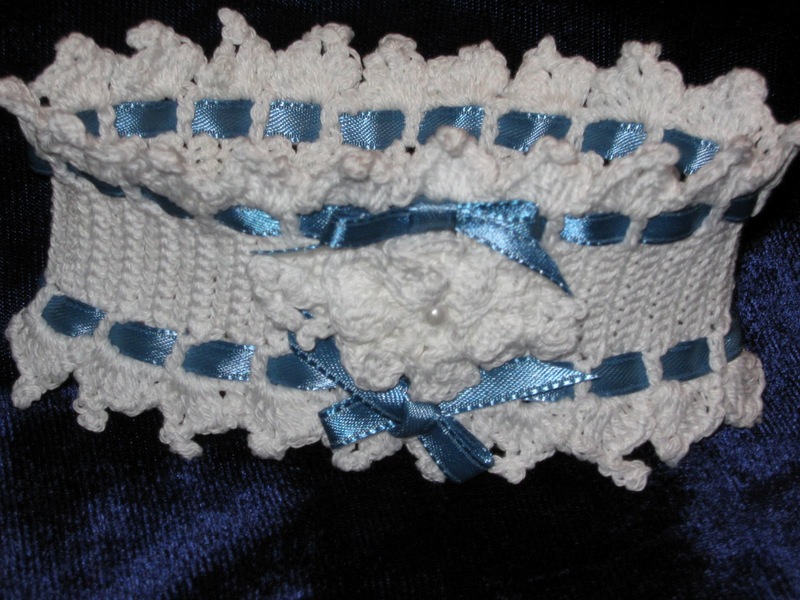 I have been making bridal garters (Victorian crochet) for a couple of years now on a special order basis. 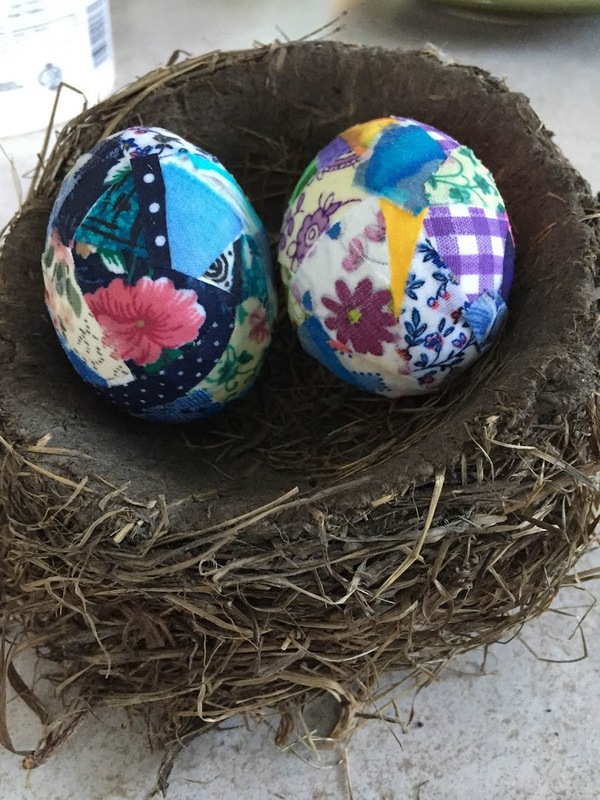 Think I'll make up a basket of several different styles and shapes and colors and see if they sell. Bridal cloves and Bride's purses are another couple of items on the list. I hope to have a few special baby outfits and perhaps some really cute baby shoes as well. 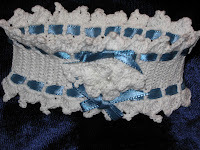 I have stocked up on thread and I have dusted off my steel hooks, I have even made a couple of blue garters for an order next week, but since ripping back the last gown, I have yet to start another. I wish my head and my hands were on the same program! What have I been working on? Doll shoes for the long-haired beauty I cleaned up last weekend. I have one adorable little green slipper done, and hope to get the other done sometime today. Is there a course on focusing? Focus 101 - that's what I need! Welcome to my Dolly Spa!